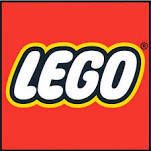 Lego Building Sets - Join the Building Craze! Have You Built a Lego Crazy Action Contraption? Lego Train Station – Is it as good as they say? Lego Train Set Review | Don’t waste your money on the wrong set!